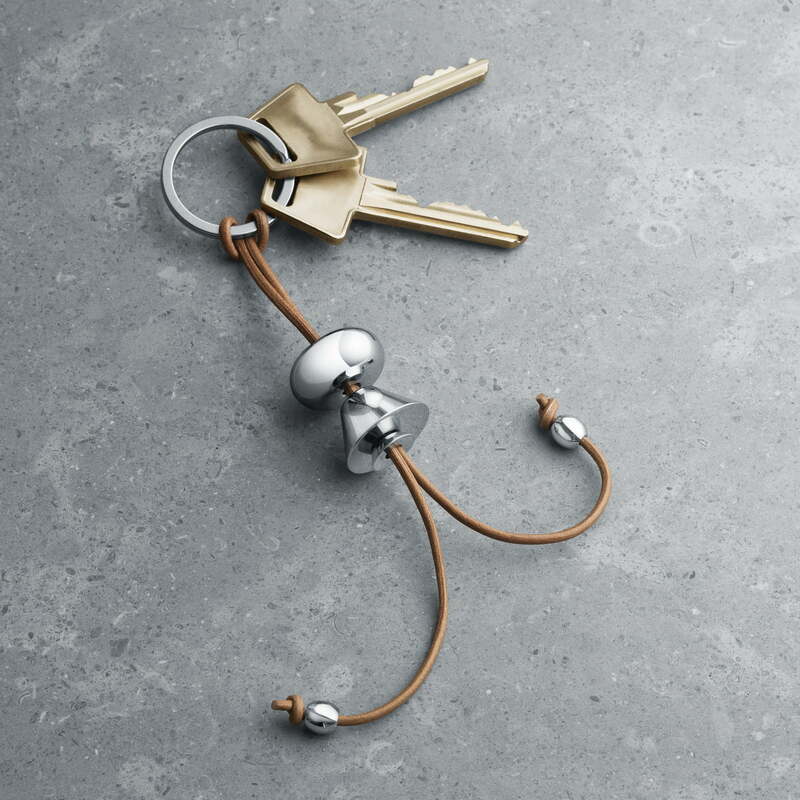 Alfredo Häberli has created a humorous stick figure keyring for Georg Jensen, which quickly turns into a very personal item, with all the important keys of everyday life. The keychain is made out of mirror-polished stainless steel with a leather strap that can be arranged so that it looks like a stick figure. 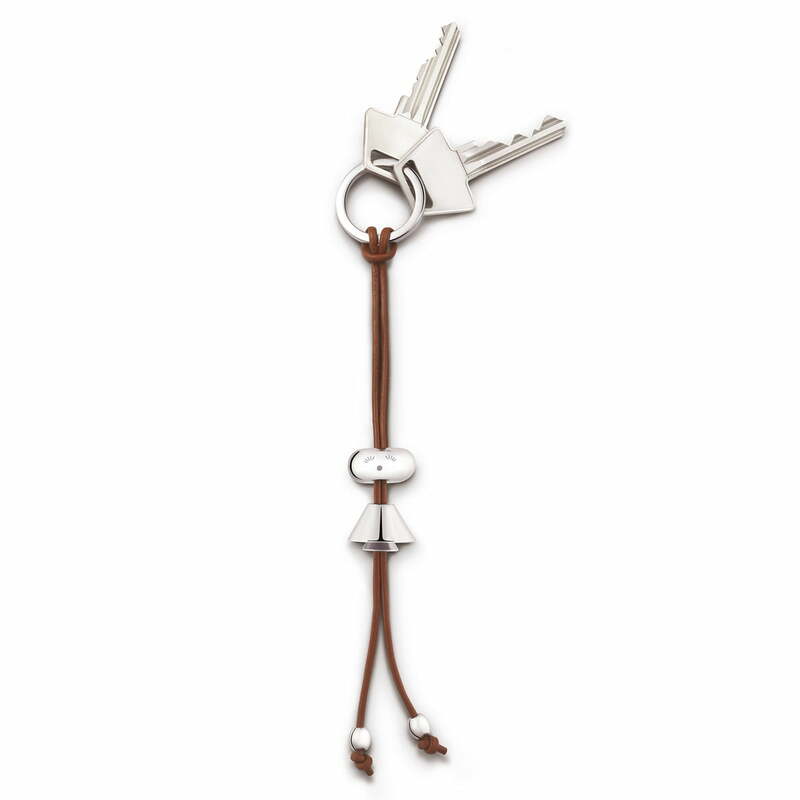 Thanks to the girl and boy versions, the keyring gets a playful touch. Details The lids is not included in the delivery! 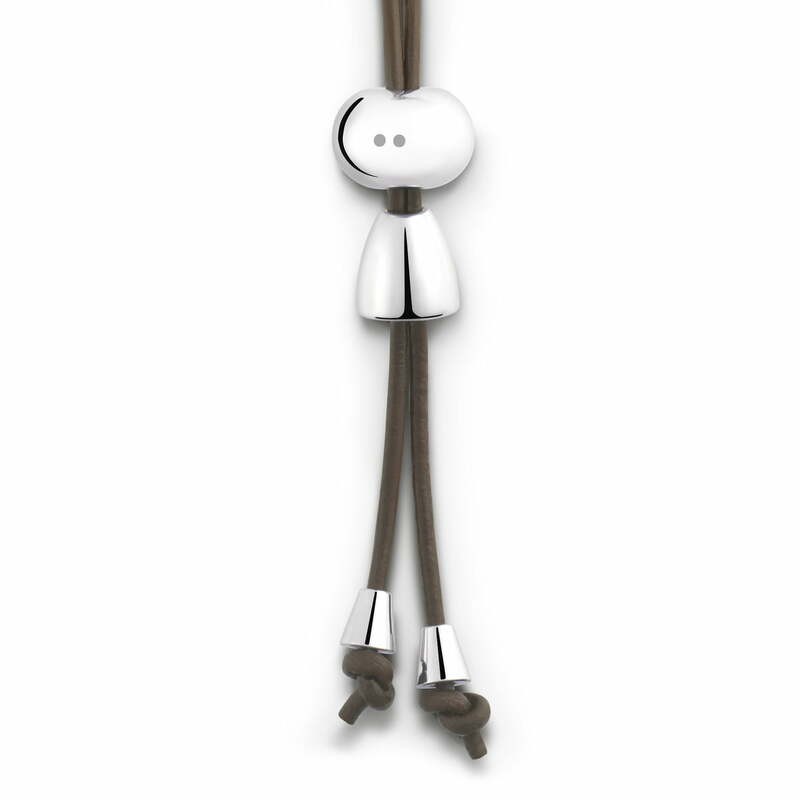 Isolated product image: The keychain is made of mirror-polished stainless steel with a leather strap that can be arranged so that it looks like a stick figure.